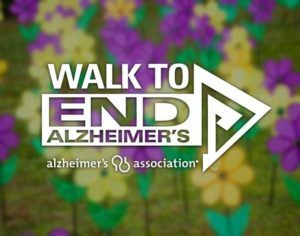 SMART Brain Aging is proud to participate for the third year in a row in the Alzheimer’s Association’s Walk to End Alzheimer’s. Each year, the walk takes place in over 600 nationwide communities. The Walk to End Alzheimer’s is the world’s largest event dedicated to raising Alzheimer’s awareness and funds. The funds raised go to the care and support of those with Alzheimer’s and for further research on Alzheimer’s. First, find a walk in your area. 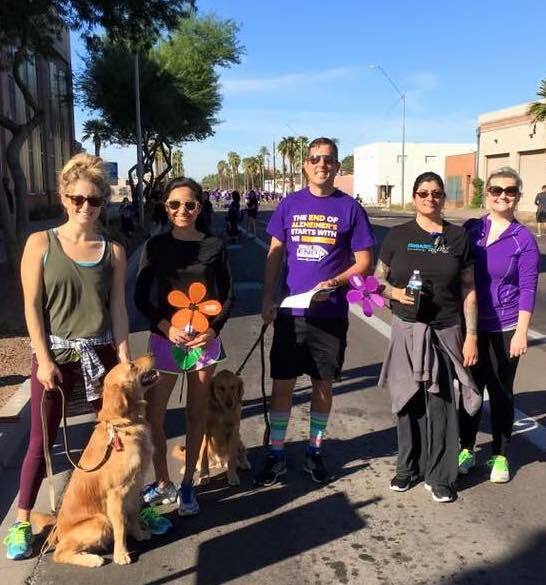 The Walk to End Alzheimer’s will be coming to downtown Phoenix on November 3rd! Next, find a team or start your own! You can start raising awareness and funds right away. The walk’s official website can help guide you and offers plenty of resources to help you get started with you fundraising efforts. During the walk, you can show your support with a different color flower. At the end of the walk, you place the flower with a personal message in the local promise garden, which is dedicated to remember, honor, care for and fight for those with Alzheimer’s. Did you know that the first Walk to End Alzheimer’s took place in 1989? The walk only had 1,249 participants, but they went on to raise $149,000. In 2015, the walk had up to 50,000 participants and proudly raised over $75 million. Join SMART Brain Aging’s team today!